This Cigar tube has great style and an impeccable design. 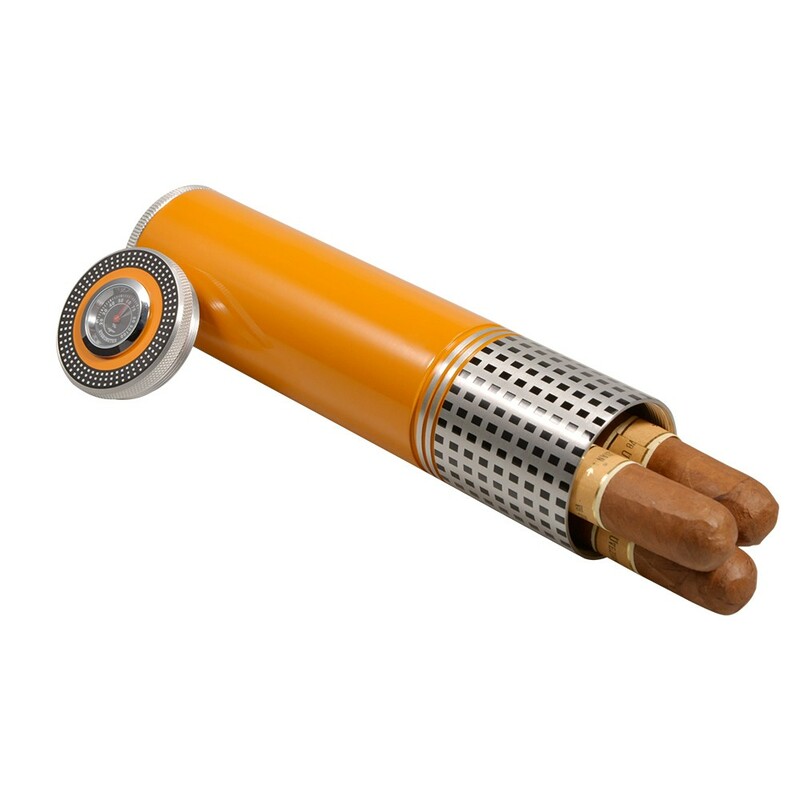 This luxurious cigar tube has a hygrometer to monitor the moisture in the air and a humidifier to keep the moisture in the air. Perfect cigar accessory for protecting your cigars while travelling. Holds 1-4 Cigars Depending on the Ring Gauge. Integrated Humidifier and Hygrometer design for Added Cigar Preservation. 100% Airtight to keep the smell inside the Humidor. Ideal For Travelling or Fits Conveniently Inside of Most Car.